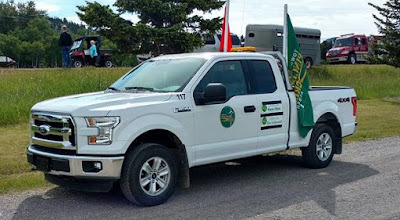 ^ Town of Pincher Creek represented at the Crowsnest Pass Bellecrest Days parade last weekend. 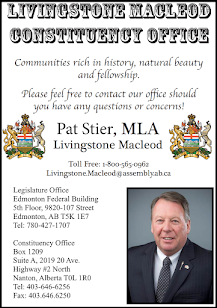 Toni Lucas - During the regular meeting of Council for the Town of Pincher Creek on Monday, June 13 council discussed a number of events and the level of participation the council was willing to commit to. The requests were for the towns of Picture Butte, Coaldale, Cardston, Claresholm, and Brocket. Council declined the invitation to participate in the Picture Butte Jamboree Days Parade on Saturday August 20, 2016 as it conflicts with the Pincher Creek Fair and Rodeo. Council accepted the invitation for the Coaldale Settler Days Candy Parade on Saturday, July 9, 2016 and voted that a member of Council be approved to attend. 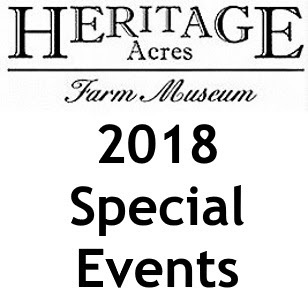 Council accepted the invitation to participate in the Cardston Heritage Days Parade and Luncheon on August 6, 2016 and approved Councillor Jim Litkowski attend. Council accepted the invitation to participate in the Claresholm Parade on Saturday, August 13, 2016 and approved Mayor Don Anderberg attend. Council received information regarding the 1st Annual Horse Spirit Indian Relay & Rough Stock Event in Piikani on July 1-3 and turned down the request for funding or sponsorship, however will consider doing so next year.